On February 28th, Amazon suffered one of it’s largest technical failures in history, with the 2 hour loss of S3 services in the massive US-East-1 datacenter in Virginia. Although enterprises relying on S3 for only DR may be unaffected, companies relying on AWS to keep the lights on, stand to suffer brand damage, or even revenue loss as a result of any major outage. When our data availability hinges on a single pool of resources, whether or not those resources are large and trustworthy, we have no basis for complaining. The tools exist today to protect against availability loss, even when the great Amazon takes a hiccup. NooBaa was explicitly designed to support the provisioning of reliable and secure storage across untrusted and dynamic resource environments. 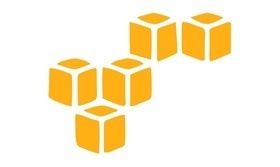 A NooBaa customer using AWS in their list of capacity resource options would have seen no disruption in service through the NooBaa S3 interface when AWS went offline. NooBaa lets customers spread data across local datacenter hosts, public cloud VMs, and public cloud storage services through a simple check-box policy, all the while continuing to serve data through a single S3 API interface. High availability, generally designed to react to resource failure, can also provide pre-emptive healing capabilities. What if a resource is acting intermittently? What if there is a pattern of unusual access or fingerprint violations that indicate malicious activity? The system should deprecate and eventually eject those resources if needed, and this is a goal of NooBaa's machine learning capability. Never implement a storage strategy without considering protection strategies. But protection doesn’t need to be complex or expensive. If you have local underutilized capacity, use it to protect what you have in S3. If you have an Azure account, use it to protect your AWS data. If you have local disk capacity in your ESX farm, unleash it as free DR capacity (NooBaa doesn’t charge for extra copies). Protecting yourself doesn’t have to be expensive if you have the flexibility to consume capacity anytime, anywhere. This is NooBaa’s core strategy.